Hydraulic single Head type with Coil car Uncoiler is the improtant equipment of the production in steel metal production line, roll forming production line and cutting to length line, mainly used to hold steel strip to make coils unfold,supplying raw material for the production line. Hydraulic single Head type with Coil car Uncoiler also need be coordinated to use with coil loading car and end straightener in steel metal production line,guiding the steel strip into the forming and sizing machine flatten ,the brake way of the enterier line in linkage controlling,so that guaranteed steel strip not to loose in the productioni process. Hydraulic single Head type Uncoiler is made by the outer diameter,the width,wall thickness and the weight of steel strip. Looking for ideal Sheet Metal Decoiler Machine Manufacturer & supplier ? We have a wide selection at great prices to help you get creative. 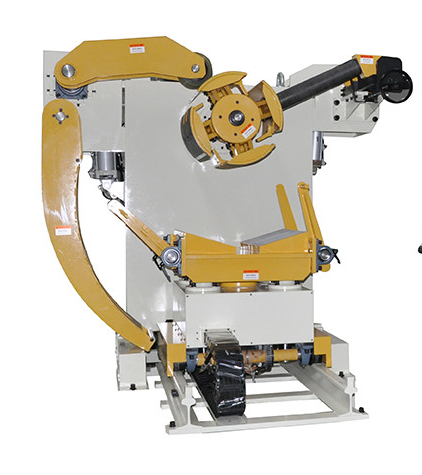 All the Sheet Metal Uncoiling Machine are quality guaranteed. We are China Origin Factory of Hydraulic Uncoiler Machine For Sheet Metal. If you have any question, please feel free to contact us.